Jedidiah Morse was a country boy from Woodstock, Connecticut who attended Yale during the American Revolution. In the middle of his college career, a spiritual awakening came to Yale. Jedidiah fell under conviction of sin, and, in the spring of 1781, gave his life to Christ – this energized him in all parts of his life. Morse had set up a separate Theological Seminary at Andover in 1805. The Andover Seminary served as the recruitment and educational base of operations for a new American project, international missions to evangelize the world as the “School of Nations”. ABCFM accounted for 80% of all missionary activities in America; reformed bodies (Presbyterians and Congregationalists, in particular) made up nearly 40% of the participants. In addition to his religious endeavors, son, Samuel, showed enough artistic promise for his father to send him abroad to study painting after he graduated from Yale University in 1810. Painting provided Samuel with pocket money to help pay his term bills at Yale. He became one of the small handful of important American painters in his generation, and many famous depictions of notable Americans are his work. The problem was not a lack of talent, for Morse showed great promise as a painter, but he offered Americans grand paintings with historical themes, when all his paying patrons really wanted were portraits of themselves. Eventually Morse accepted many portrait commissions, but even they did not bring the steady income he needed to support himself and his family. Oh, one more thing about Samuel Morse, while he did not invent the telegraph, he made key improvements to its design, and his work would transform communications worldwide. First invented in 1774, the telegraph was a bulky and impractical machine that was designed to transmit over twenty-six electrical wires. Morse reduced that unwieldy bundle of wires into a single one. Along with the single-wire telegraph, Morse developed his “Morse” code. He would refine it to employ a short signal (the dot) and a long one (the dash) in combinations to spell out messages. Following the routes of the quickly-spreading railroads, telegraph wires were strung across the nation and eventually, across the Atlantic Ocean, providing a nearly-instant means of communication between communities for the first time. 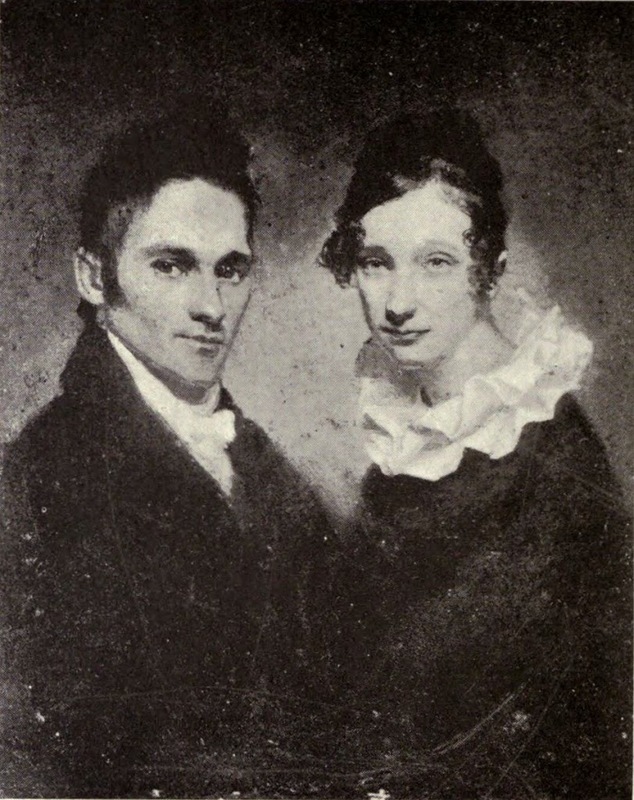 The image shows the Samuel Morse painting of Hiram and Sybil Bingham, leaders of the Pioneer Company of missionaries to Hawaiʻi. (They are my great-great-great grandparents.) In addition, I have added others similar images in a folder of like name in the Photos section on my Facebook and Google+ pages.